At Asbestos Audits Queensland we have over thirty years asbestos audit experience at inspecting and reporting on the presence of asbestos in buildings. Our friendly audit inspectors understand the sometimes emotive nature of asbestos and we can explain to your staff if needed, exactly what we are doing and how all but new buildings require this service. We can inspect your building and produce an Asbestos Containing Materials Report, Register and Management Plan so that you comply with the asbestos regulations. We can also carry out pre-renovation, pre-demolition or sale inspections for asbestos. We use only NATA accredited laboratories for our sample analysis so that you can be conﬁdent of their results. For private or residential premises we also offer inspection and reporting services similar to those for commercial building owners. Changes to the Code of Practice mean that builders or tradespeople carrying out any renovation or demolition work will be considered equivalent to a commercial workplace as regards to asbestos safety and handling. This will mean that prior to organising or managing household or residential renovations an asbestos inspection should be carried out prior to commencing work or risk breaching the Workplace Health & Safety Regulation. Asbestos Audits Queensland provide prompt and courteous residential asbestos inspections (audits) for homeowners in Brisbane, Gold Coast, regional Queensland and around Australia. Asbestos Audits proprietor, Brian Sketcher is a sought-after speaker and author, well-recognised throughout Australia for his work in identifying asbestos. Prior to booking an on-site asbestos inspection, residential owners can use Brian’s book to help you identify asbestos in the home. 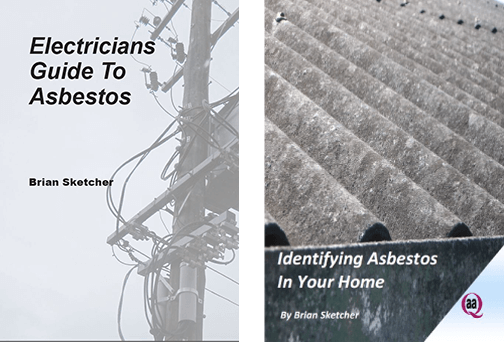 The second in our series of asbestos books by Brian Sketcher is a handy guide for those in the electrical trade in Australia. 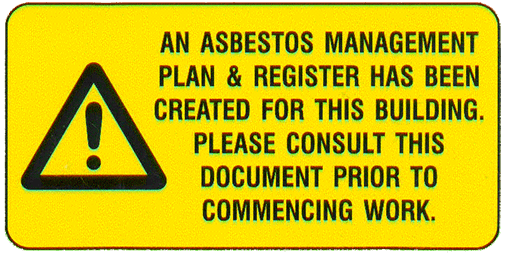 We also stock asbestos related slide packs as well as, asbestos warning labels and signs. Asbestos Audits Queensland are located conveniently midway between Brisbane and the Gold Coast. Our team conducts audits throughout Australia. or you can email us for a quote on your building today!